V. Infant Jesus, hear us. 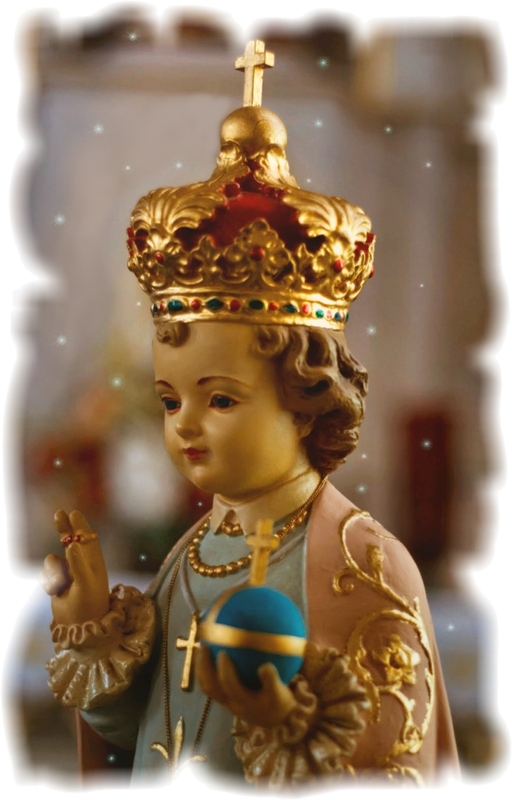 R. Infant Jesus, graciously hear us. O Miraculous Infant Jesus, prostrate before Thy sacred Image, we beseech Thee to cast a merciful look on our troubled hearts. Let Thy tender Heart, so inclined to pity, be softened at our prayers, and grant us that grace for which we ardently implore Thee. Take from us all affliction and despair, all trials and misfortunes with which we are laden. For Thy sacred Infancy’s sake hear our prayers and send us consolation and aid that we may praise Thee, with the Father and the Holy Ghost, forever and ever. Amen.